- It's a stylish, versatile way to clean up your car. - This organizer keeps track of everyday items and within easy reach. 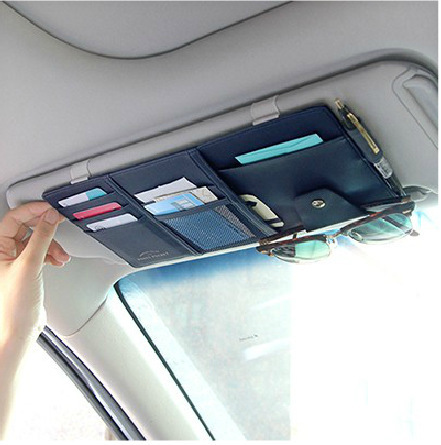 - This innovative design installs easily fits most vehicles. - Keep important things handy in your. - Great for pens, for receipts, business cards, change, paper, maps, gas cards, sunglasses, registration and more.